Available beginning Aug. 31, 2011: Jill Prince explains aerobraking, a technique used by NASA to reduce the amount of fuel required to slow down a spacecraft moving at high speed as it approaches a planet. Join NES in the Icing Research Tunnel at NASA’s Glenn Research Center in Cleveland, Ohio, when aeromechanical engineer and icing specialist Judith VanZante gives a tour and explains how engineers apply simple concepts in physical science to create windy, cold and wet conditions for aircraft testing. As you tour the IRT, you will learn how the speed of the wind is increased, how the extreme temperatures in the warm summer months are achieved, what forces act on an aircraft and how a pilot would deal with these forces in icing conditions. 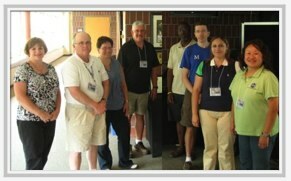 Link to this NASA Now program (requires login to the NES Virtual Campus). NASA Explorer Schools invites all U.S. teachers and students to join us today at 2:00 p.m. EDT for a live video chat with Lin Chambers. Chambers is an atmospheric scientist and the director of the CERES S’COOL Project at NASA’s Langley Research Center. Clouds are an important part of our atmosphere, and scientists are studying how they affect our weather and climate. She will talk about the effect clouds have on the Earth’s climate and will answer student questions about the role of clouds in the Earth’s energy and water cycles, and the benefits of participating in real-world atmospheric research through the S’COOL Project. 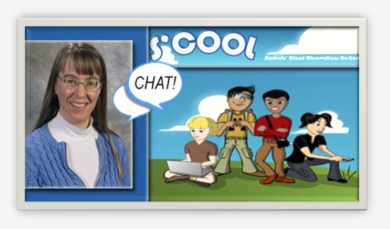 Chambers developed the Students’ Cloud Observations On-Line project, also known as S’COOL. S’COOL involves students in making ground truth observations of clouds for comparison with satellite data. 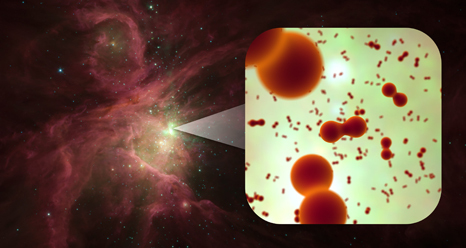 The project is beneficial to both scientists and students. Scientists benefit from the use of student observations to help validate the CERES measurements. Students benefit from their participation in a real-world science experiment. Click here to participate in the chat. How can robots help humans live and work in space? NASA is studying that right now! 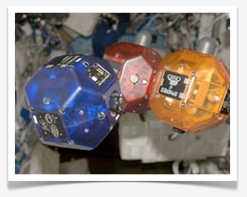 SPHERES are independent spacecraft able to complete tasks for astronauts; these little spacecraft can fly inside and, in the future, outside the space station to help complete essential tasks. NASA connected each SPHERE to a smartphone that gives them SPHERE camera capabilities, sensors to help conduct inspections, a computing unit to make calculations and Wi-Fi. 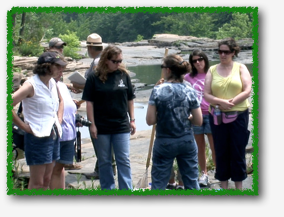 NASA Explorer Schools educators, as well as other formal and information educators, are invited to apply to the Earth Ambassador Program, part of NASA Climate Days. 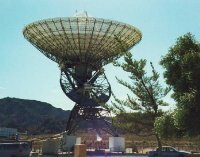 The program will hold a two-day training workshop at NASA’s Goddard Space Flight Center, in Greenbelt, Md., Oct. 13-14, 2011, with extended training on Oct. 15, for those not attending the Association of Science – Technology Centers Conference. During the workshop, participants will interact with Earth scientists who are looking at the effect of climate change with respect to their research areas, learn effective ways of communicating global climate change with the public and become familiar with the online resources available to host their own events at their local institutions. Transportation, lodging and meal per diem will be covered. Applications are due Aug. 17, 2011. For more information and to apply online, visit http://mynasadata.larc.nasa.gov/NCD_Ambassador_Application.html. If you have any questions about this opportunity, e-mail Heather Weir.